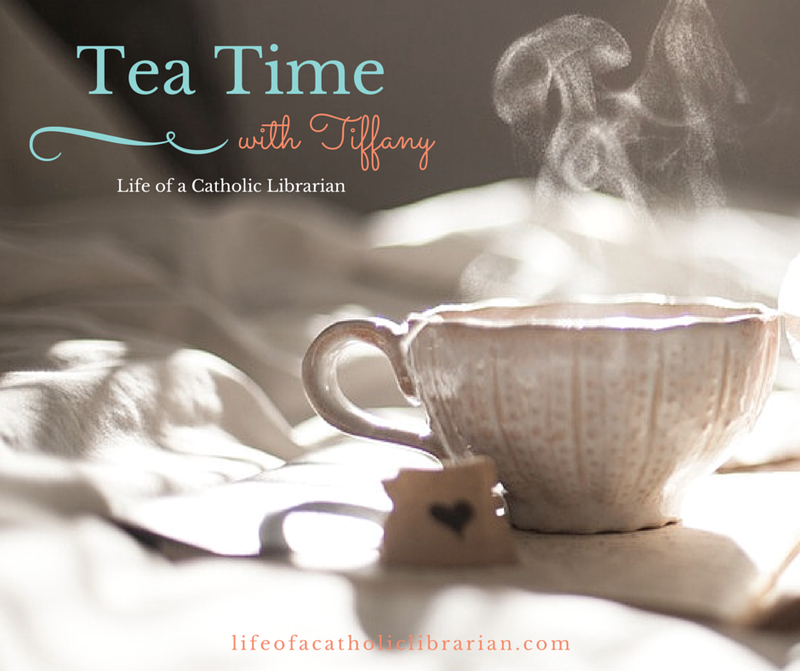 Life of a Catholic Librarian: Tea Time with Tiffany Episode 1 - Feedback & creative inspiration! Tea Time with Tiffany Episode 1 - Feedback & creative inspiration! YAY! I was so excited to record another video post this week. I wanted to mention each and every one of you who sent me feedback last week (so go listen for your name :0) and some of the ideas you suggested that I'm planning on developing. I just re-watched the video, and I am super excited and animated in this one, moving my hands around a lot and talking real fast. :) I'm really looking forward to what is to come with these posts, and other projects I have planned here on the blog coming up. Queue up the video for details! **Apologizing in advance for the sheer volume of sniffling that goes on in this post. It's the evil allergies! Catholic New Media Conference, June 7th in Atlanta, GA! If you have ideas for future topics, please just leave a comment to let me know! I'll blog again after Memorial Day, but until next Tuesday, enjoy your holiday weekend, and God bless! So fun! Looking forward to all of your topics. The Catholic current events sounds really interesting. Oh, and please do include your knitting as well! This should be fun! Thanks for taking the time to make these.